Dry yourself off with this Auburn Tigers Men's L/XL Silk Touch Bath Towels. 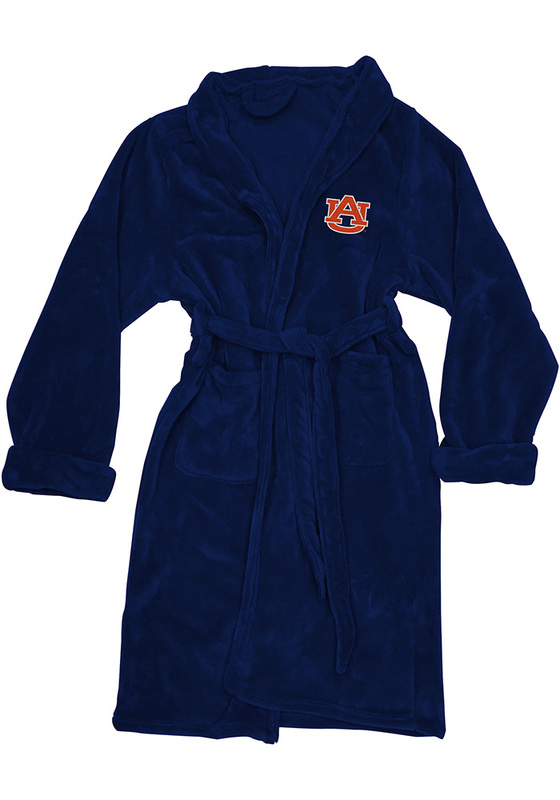 Every Tigers fan needs this Bath Towels, which features a licensed Auburn University embroidered logo, making this bath robe the ideal choice for lounging and comfort around the home. It has two front patch pockets, a silk touch tie belt, and two belt loops for added adjustability and will compliment any bathroom. Go Auburn!